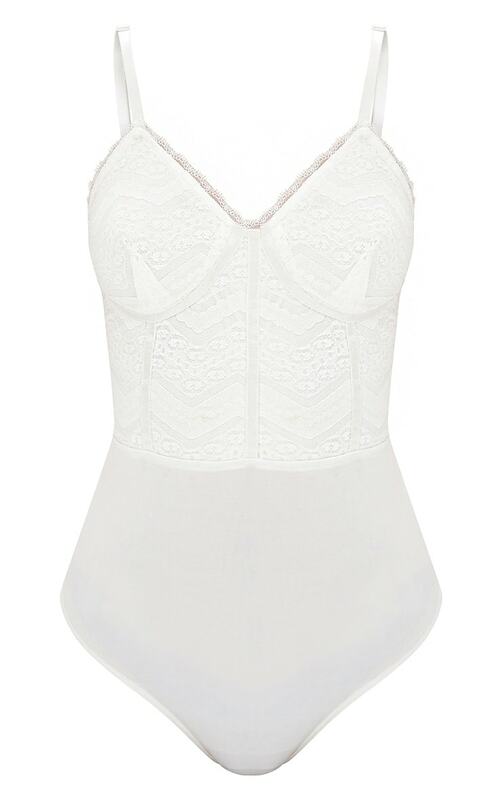 Show off your feminine side with this beaut bodysuit. Featuring intricate lace detail and pretty panelled design, means this body needs adding to your new season wardrobe immediately. Style with some chic cigarette trousers and some killer heels, to finish off this fierce look.